Description: Imperata cylindrica (L.) P. Beauv. 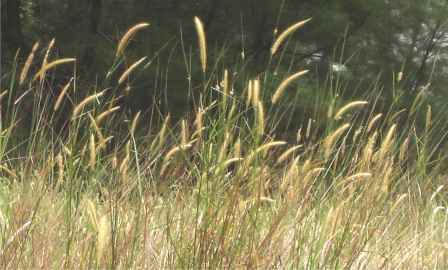 is a perennial erect grass about 0.6-1.5 m tall. Leaf blades are linear to lanceolate, long, 0.5-1 cm by 15-30 cm, narrow, with sharp margins and prominent nerves. Inflorescences are white and fluffy. Rhizome is hard, coriaceous and deep within the soil. Origin: Native to China and Africa but this widespread weed can be found throughout the world. Traditional Medicinal Uses: Rotted grass from thatch boiled with wine is used to treat bug bite, haemoptysis, severe constipation and vaginismus. It is also used for drug withdrawal symptoms. Besides being used to quench thirst, its flowers and rhizome are also used to treat blood in the sputum, nose bleeds, lung and kidney diseases, j aundice, haemorrhage, wounds, haemoptysis, epistaxis, haematemesis, haematuria, nephritic oedema, high fever, and urinary tract infections. The roots are used to treat fever, cough with phlegm, asthma, cancer, dropsy, epistaxis, haematuria, jaundice, nephritis, diarrhoea, gonorrhoea and dysuria. 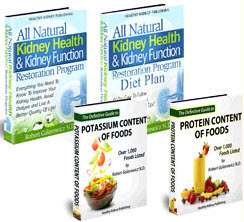 Pharmacological Activities: Antidiuretic, Anti-inflammatory, Neuroprotective^ and Antibacterial. Dosage: Rhizome is used for the treatment of urodynia, pollakiuria, haema-turia and fever. The recommended usual daily dose is 10 to 40 g in the form of a decoction, to be administered orally. Adverse Reactions: Allergic contact dermatitis and sensitivity to grass pollen (Type I allergy). How Would You Love To Finally Get A Decent Night's Sleep? Do you toss and turn all night long without getting much of a wink of sleep? Are you tired of counting sheep for hours without falling asleep? 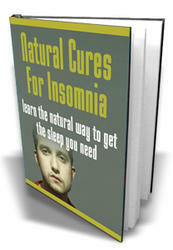 Wouldn't you love to be able to fall asleep simply, easily and naturally, without pills, potions or harmful medicine?